Corporal John Poyntz French’s uncle was George French (first Commissioner of the Force) and his father was Inspector Jack French (Reg. O.19) who display gallantry and bravery on the last day of the Battle of Batoche. Young John French endeavoured to follow in the family’s military tradition. Although his service in the Force was short, John French went on to also distinguish himself in the South African Constabulary and in the Princess Patricia’s Canadian Light Infantry during World War I.
John Poyntz French was born April 1876 at Fort Pelly Saskatchewan. 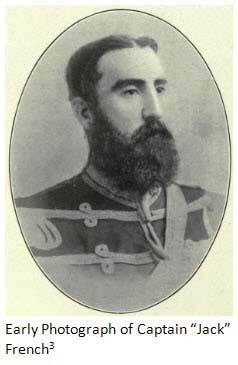 According to John French, Major General George French (1st Commissioner of the Force) came to Canada in the 1860s. “At the time, he was a Captain in the Royal Artillery and was sent to Canada, in reply to a request of Sir John A. MacDonald, for an officer to come over here (to Canada) and organize (the Canadian) artillery. He was put in command of the artillery at Kingston and lived in the Tete du Pont Barrack. The Royal Artillery of that day is now the Royal Canadian Horse Artillery. 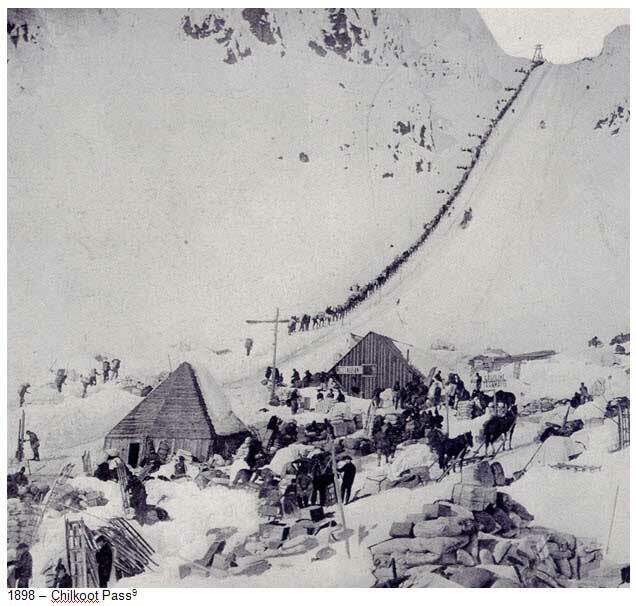 In 1873, he was appointed to organize and command the North-West Mounted Police. He sent for his brother, Captain John French, my father who had only been married a short time before. Jack French brought my mother with him. My sister (Tannis French) was born in June 1874 in Toronto. She is said to be, and I believe correctly so, the first child born in the Force. My mother and aunt (Commissioner’s wife – Mrs. Innis were married in Kingston) joined their husbands in Winnipeg. Both wives took part in the March West. 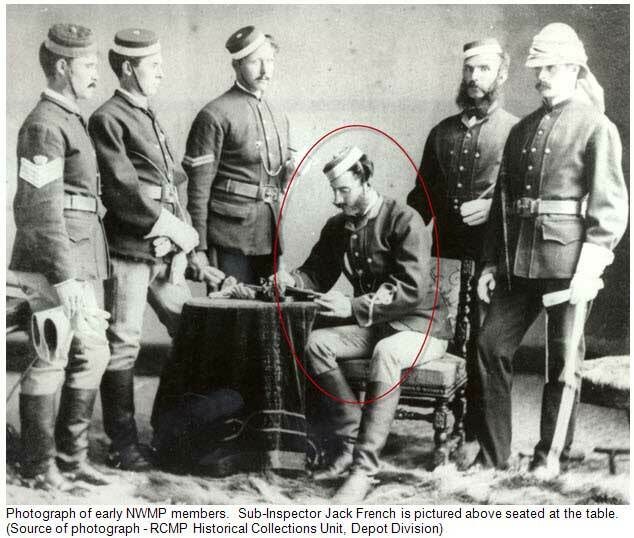 On March 28, 1874, Jack French was enlisted in the North-West Mounted Police and was appointed to the rank of Sub-Inspector. For the March West, Jack French was assigned to “D” Troop and was under the Command of Insp. James Walsh (Reg. O.7) and the Troop Sergeant Major was T.W.S. Miles. Jack French later served at Swan River, Fort Battleford and Fort Walsh. “During 1875, (Jack) French was the center of allegations of cruelty towards his men as appeared in newspaper and letters. In response to these some thirty-eight of his men sent an open letter to the press reflecting their stories. It appeared the story originated from an incident when (Jack) French and his “D” Division Troop were enroute from Winnipeg to Swan River. A member under arrest for disciplinary infractions was made to walk along side a horse while handcuffed to the stirrup. He somehow received a minor injury. French on instructions from the Minister of Justice on reading about the incident was reprimanded for his actions in ordering the handcuffs on the member. On July 1, 1883, Jack French left the Force and took up farming in the Fort Qu’Appelle area. 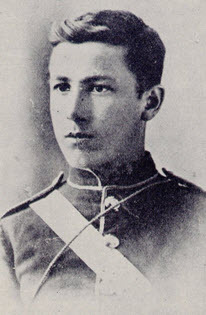 Following in the footsteps of his late father (Jack French) and uncle (George French), John Poyntz French joined the North-West Mounted Police on April 9, 1894 at the age of 18 years. John French was well educated and could speak English, French and several Indian dialects. According to John French “I joined the NWMP at Regina in April 1894 … was transferred to “E” Division, Calgary in 1894. During my time in “E” Division, I was on detachments at Cleichen, High River, Canmore and Banff. On January 17, 1899, Major-General George French (1st Commissioner of the Force and brother to Jack French) wrote a letter to Fred White (Comptroller of the NWMP) asking that Frank French be given a Commission in the NWMP. George French made reference to a military tradition that if an officer was killed in battle then his son would receive a Commission. A similar letter was received from the Governor General of Canada also forwarded a similar appeal to Fred White. On November 16, 1899, Frank was stationed in Regina and was promoted to the rank of Corporal. On January 1, 1900, Frank French resigned from the Force and accepted a Commission as a Lieutenant in the 1st Canadian Mounted Rifles and attached to “D” Company. With the creation of the South African Constabulary, Frank French accepted a Commission as a Lieutenant and commanded a troop of 100 men under the general command of Lord Baden-Powell. He was later promoted to the rank of Captain. After the Boer War, many other NWMP members accepted positions in the South African Constabulary. 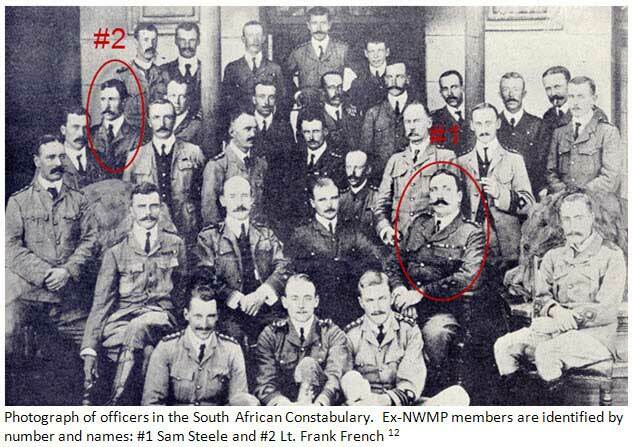 The photograph below illustrates two ex-NWMP members in the South African Constabulary in 1903. In 1906, Frank French resigned his position with the South African Constabulary and returned to Canada. Shortly after in Canada, he applied to rejoin the Force as a Commissioned Officer but his offer was not accepted. 1936 – Photograph of Lt. 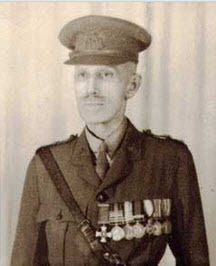 Colonel John French (Source of photo – Scarlet & Gold magazine). – General Service & Victory Medal (WW I). On October 2, 1954, John French passed away at Kingston Ontario. He was survived by his Inspector F.H. French. French, John Poyntz – letter to Commissioner Stuart Taylor Wood dated March 22, 1941. Library Archives Canada – NWMP Personal File of Frank French – O.19 – page 1.